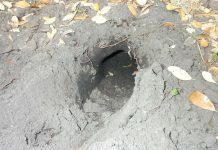 Home Habitat Where Do Possums Sleep During the Day? 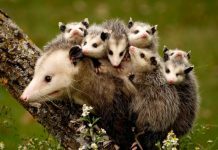 Possums are strictly nocturnal animals so they sleep during the daylight hours. Like many other small mammals, possums will find shelter, log, or a nest to enjoy sound sleep. While most possums are arboreal they do not really sleep into the trees. They climb into the trees to eat fruits or shrubs and then get back to the ground to sleep. Let’s see where different types of possums sleep during the day. 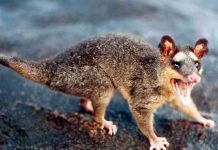 Ringtail possums which are mainly found in the southern Australia do not sleep in nests. They are thought to sleep in tree hollow. Tree hollow is often, but not always, lined with dry leaves. Rock ringtail possum is an entirely nocturnal species. It climbs into the trees to find some food at night. Like other ringtails, the rock ringtail possum will sleep in rock ledges during the day. They will not build nests. Similarly, the western pygmy-possum likely spends its daytime in a leaf-lined nest or a tree hollow. It can also sleep on the leaves of the grass-tree (Xanthorrhoea). At times, they do sleep in babbler’s nest one that is built on the ground. Little pygmy possums are pretty small in size. They often seek shelter underneath the overturned turf as well as in wall cavities. Pygmy possums may also use small birds’ nests to sleep.